Doha, Qatar, March 31, 2019: Marriott International Doha hotels, including Marriott Marquis City Center Doha, Doha Marriott Hotel, The Westin Doha Hotel & Spa, Sheraton Grand Doha Resort & Convention Hotel, The Ritz Carlton, Sharq Village & Spa – Ritz Carlton Hotel, W Doha and The St. Regis Doha, went dark for one hour on March 30th to shine a light on climate action in support of Earth Hour 2019. The hotels offered various activities for guests and associates alike, such as candlelight meditation and spinning class among others. The World Wildlife Fund (WWF) was created Earth Hour 12 years ago to emphasize the threat of climate change. 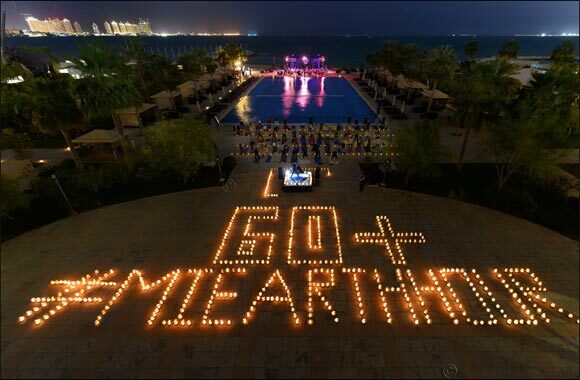 Marriott International Doha hotels joined millions around the world by turning off their lights for one hour to illuminate a powerful message about environmental awareness and action. All participating hotels turned off their exterior signage lighting, dimmed and turned off non-essential interior lighting and provided candlelight in appropriate public areas such as restaurants and bars. Last year, Earth Hour broke records to cement itself as the largest voluntary action for the environment. Iconic buildings and landmarks from the Asia Pacific, Europe, Africa and the Americas were switched off, and people across the world turned off their lights and came together in celebration and contemplation of the one goal we all have in common; the protection of our planet.